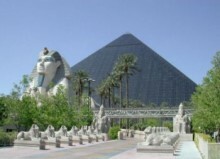 Visiting Egypt for only a few hours during your Mediterranean cruise? Want to see the main attractions of Cairo but only have limited time in Alexandria? Do not worry, as this tour will handle all the details and give you a great chance to see the main sites of the capital in a timely fashion. Book the tour and provide all the docking details in order to assure timely departure and arrival that would fit perfectly into your schedule. After meeting you at the docs, we’ll take you with a private vehicle to the capital and show you the main sites all private tours in Egypt focus on. First, there will be a visit to the Giza Plateau and its world-famous structures that have fascinated tourists of all kinds for centuries. We’re talking about the pyramids, and we’ll visit the three great structures and the enigmatic Sphinx one by one with a detailed info program on each of the structures. The Egyptian Museum of Antiquities, which will be our next stop during the tour, will take you further into the ancient times with its enormous collection of unique artifacts, all found in various Egyptian excavations. There are over 120,000 items both on display and in storage, so it’s impossible to view the entire museum during a whole day. 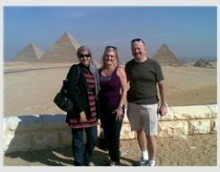 Instead, your private guide in Cairo will take you directly to the most peculiar and renown artifacts and tell you about the places and circumstances where they were discovered. If your departure schedule will allow us, we’ll also stop by the Khan El-Khalili Bazaar for some shopping experience at one of the oldest markets in the country before making our way back to Alexandria, where your ship we’ll be waiting for you. The organization of the tour is excellent! Marwa, you are the best guide I ever met! your excursions are very lively, interesting and they are so real! You know a lot of interesting facts of all sights that we saw, you can tell about them for hours and it says about your professionalism! Thank you for your work!